Prometheus, one of the Titan gods, is depicted bearing fire. 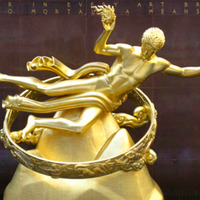 In accounts of Greek mythology, Prometheus gives the technology of fire to mankind as a provoking gesture in a feud with Zeus. 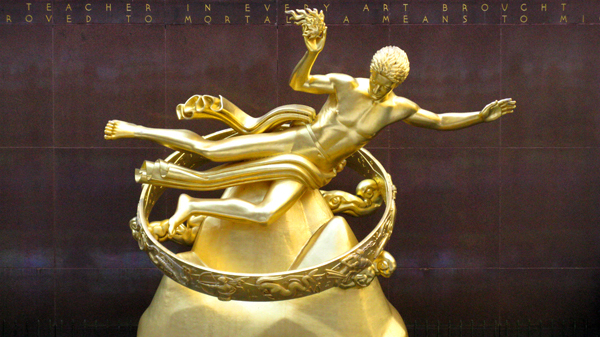 Paul Manship, “Prometheus,” Mapping Mythology: A Digital Collection of Classical Mythology in Post-Antique Art, accessed April 22, 2019, http://mappingmythology.com/items/show/4.